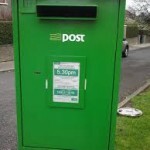 Cork South West Minister Jim Daly has warned that; ‘’reform not fond memories is what’s needed to rescue our rural Post Offices’’. 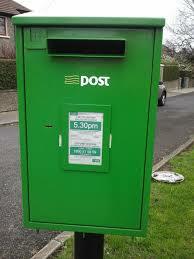 The Minister said; ‘’I have as you know a special relationship with the Post Office. I know the sound of the clerk’s stamp and the rustle of the mail being sorted for a hundred by-ways and high-ways. But, this is why I also know that goodwill alone will not rescue our post-offices when the clerks stamp goes silent. Nostalgia butters no fiscal parsnips. The post office has not changed, but we as customers have, we are the ones who are not using the services like we used to and that is why they are under pressure to survive. This means we must develop a new narrative for our post-offices which takes them out of the shroud of politics. We should see where Post Offices can fill the gap in the market of renewing rural communities. The task of government is to encourage Post Offices to develop because preservation will not in the long run save our post offices. There are a myriad gaps they can fill. The Post Office can fill the gap in the market that was created by the smaller banks merging into nearby towns. It can make available credit with public banking style provision of credit for local and farm enterprise. Post Offices can, following on from the success of the provision of foreign exchange, take in a range of modern banking services, including current accounts, credit cards, ATMs and other e-transactions. Develop its role in the ongoing provision of State payments and services, including motor tax. Government must recognize that not every-one is a friend of Digital. Customers want a friendly spot where papers are stamped rather than sent invisibly amongst the internet high-way. Post offices can be used to access peace commissioners, office services, ICT training and evolve into training and service provision centres for small enterprises. More imaginatively the post office can evolve to become coffee shops where there are none in the area, a tourism provider and as advance units for Broadband hotdesks. The post office must transcend the commercial and community services. It has the potential to become a social spine for rural Ireland which will for example lead the provision of care for the elderly. We need action though … and no more pilots. Fine Gael will provide what is needed to work with An Post to reimagine what services are actually needed by customers, and not react to populist calls by others to keep services that are not thought through and that nobody uses.